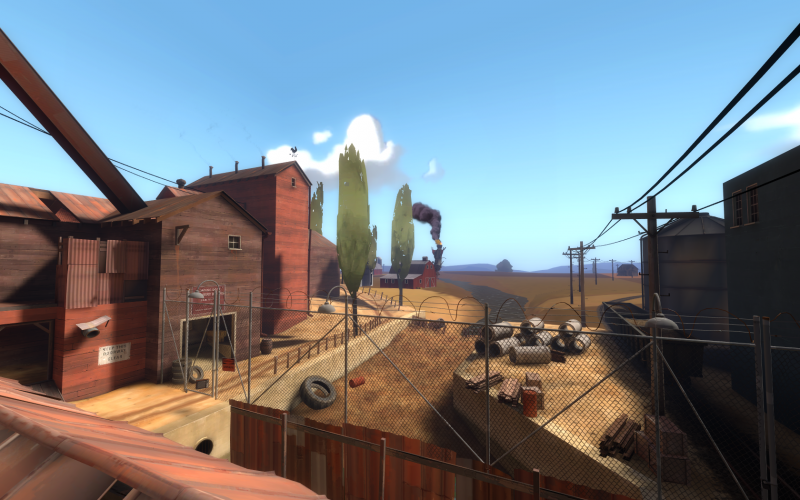 Discussion in 'Team Fortress 2 Talk' started by Omnomnick, Jul 18, 2011. New crashed rocket models added to 2fort, Badwater and BarnBlitz after the 18th July 2011 update. They serve the same purpose as the static doves, only they're huge and they've crashed into the skyboxes. What could Valve be hinting this time? Discuss. What the hell are grockets for? They don't seem to have anything to do with Pyro, so that MtT vid is not likely. What could grocket be a portmanteau of? Grocket = gray + rocket? G-man crash landed in the wrong universe. Kerbal Space Program coming to Steam. Exclusive TF2 pilots for you to crash into the stratosphere. Obviously it means Redstone's going official. ^Well that's the best damn theory I've heard so far. Just behind "The Pyro is an Alien" and "Gman = Grocket"
Might it have something to do with the final Shuttle flight recently? Maybe a space race themed TF2 storyline? EDIT: Ninja'd, get out of my way, maggot! Crealy Ckd's map, Gravel rocket, is going official next update. I looked up Gravel Rocket, but it was still in Alpha. Maybe I found the wrong one? Next thing we know civilian heavies start flooding from those rockets! This is not Valve's silly joke, this is an invasion! It's a teaser for Episode 3. Something to do with that rocket that they launched to stop the portal storm. Don't you think it's weird how it's near to Valve conference in Germany? It means Crossroads is going official. Valve hasn't let me publish any updated versions of gravelrocket since my contract now states that it's their property. Most of it was designed/tested in house under lock and key. We all know Valve have bought the Kerbal Space Program anyway. The Grockets were their attempts.